One of his fellow workers, Victor Delahaye, an exiled former communard and a follower of Karl Marx, introduced Burns to radical writers such as John Stuart Mill, Thomas Carlyle and John Ruskin. In 1878 Burns was arrested for holding a political meeting on Clapham Common in defiance of a police prohibition. In July 1882 Burns married Martha Charlotte Gale (1861–1936), daughter of a Battersea shipwright. They had one son, Edgar. He developed a reputation as an outstanding public speaker. One member of the SDF described him as "a sort of giant gramophone". According to his biographer, Kenneth D. Brown: "The language Burns used at this time was often cited later as evidence of his revolutionary aspirations, but he was sometimes tempted into excesses because he so revelled in his ability to inspire adulation in a crowd, and many of his words were subsequently taken out of context. Fundamentally, he never wavered in his conviction that social change was the priority, the method of achieving it a secondary consideration. Even before his imprisonment he had shown signs of disenchantment with the SDF's chronic internecine bickering and its desire to engage in class warfare in the House of Commons, rather than seeking some tangible benefits for ordinary people." The Times took a different view of these events: "It was no enthusiasm for free speech, no reasoned belief in the innocence of Mr O'Brien, no serious conviction of any kind, and no honest purpose that animated these howling toughs. It was simple love of disorder, hope of plunder it may be hoped that the magistrates will not fail to pass exemplary sentences upon those now in custody who have laboured to the best of their ability to convert an English Sunday into a carnival of blood." When the London Dock Strike started in August 1889, Ben Tillett asked John Burns to help win the dispute. Burns, a passionate orator, helped to rally the dockers when they were considering the possibility of returning to work. 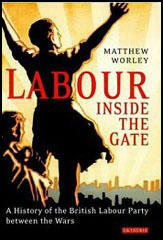 He was also involved in raising money and gaining support from other trade unionists. During the dispute Burns emerged with Tillett and Tom Mann as one of the three main leaders of the strike. In 1914 Burns was appointed as President of the Board of Trade. However, soon afterwards, the British government decided to declare war on Germany. Burns was opposed to Britain becoming involved in a European conflict and along with John Morley and Charles Trevelyan, resigned from the government. The Daily News reported: "Whether men approve of that action (his resignation) or not it is a pleasant thing in this dark moment to have this witness to the sense of honour and to the loyalty to conscience which it indicates... John Burns will doubtless remain in public life. He is still in the prime of his years and as an unofficial citizen he will find again his true sphere of action. We shall need his vigorous sense, his courage and his passion for democracy in the times that are upon us". Burns later stated: "Why four great powers should fight over Serbia no fellow can understand. This I know, there is one fellow who will have nothing to do with such a criminal folly, the effects of which will be appalling to the welter of nations who will be involved. It must be averted by all the means in our power. Apart from the merits of the case it is my especial duty to dissociate myself, and the principles I hold and the trusteeship for the working classes I carry from such a universal crime as the contemplated war will be. My duty is clear and at all costs will be done." Burns was appalled when David Lloyd George ousted Herbert Asquith in 1916: "The men who made the war were profuse in their praises of the man who kicked the P.M. out of his office and now degrades by his disloyal, dishonest and lying presence the greatest office in the State. The Gentlemen of England serve under the greatest cad in Europe." Burns, without the support of the Liberal Party or the Labour Party, and aware that the public felt hostile to those politicians who did not fully support Britain's involvement in the First World War, decided not to stand in the 1918 General Election. In 1919 Andrew Carnegie left Burns an annuity of £1,000. Burns spent the rest of his life on his hobbies: the history of London, book collecting and cricket. He wrote: "Books are a real solace, friendships are good but action is better than all for the moment and for some time great events have been denied me and forward action may not come my way." John Burns and I became close friends and good comrades. He was two years my junior, but looked older than I. We were both members of the Amalgamated Engineers, he of the West London branch, and I of the Battersea branch. He had a splendid voice and a very effective and business-like way of putting a case. He looked well on a platform. He always wore a serge suit, a white shirt, a black tie, and a bowler hat. Surprisingly fluent, with a voice that could fill every part of the largest hall or theatre, and, if the wind were favourable, could reach a twenty-thousand audience in the parks, etc. A socialist meeting had been announced for 3 p.m. in Trafalgar Square, the authorities, probably thinking Socialism a much greater terror than it really was, had vetoed the meeting and drawn a ring of police, two deep, all round the interior part of the Square. The three leading members of the SDF - Hyndman, Burns and Cunninghame Graham - agreed to march up arm-in-arm and force their way if possible into the charmed circle. Somehow Hyndman was lost in the crowd on the way to the battle, but Graham and Burns pushed their way through, challenged the forces of 'Law and Order', came to blows, and were duly mauled by the police, arrested, and locked up. I was in the Square at the time. The crowd was a most good-humoured, easy going, smiling crowd; but presently it was transformed. A regiment of mounted police came cantering up. The order had gone forth that we were to be kept moving. To keep a crowd moving is I believe a technical term for the process of riding roughshod in all directions, scattering, frightening and batoning the people. I saw my friend Robert Muirhead seized by the collar by a mounted man and dragged along, apparently towards a police station, while a bobby on foot aided in the arrest. I jumped to the rescue and slanged the two constables, for which I got a whack on the cheek-bone from a baton, but Muirhead was released. The case came into Court afterwards, and Burns and Graham were sentenced to six weeks' imprisonment, each for "unlawful assembly". I was asked to give evidence in favour of the defendants, and gladly consented - though I had not much to say, except to testify to the peaceable character of the crowd and the high-handed action of the police. In cross-examination I was asked whether I had not seen any rioting; and when I replied in a very pointed way "Not on the part of the people!" a large smile went round the Court, and I was not plied with any more questions. Still more important perhaps, is the fact that labour of the humbler kind has shown its capacity to organise itself; its solidarity; its ability. The labourer has learned that combination can lead him to anything and everything. He has tasted success as the immediate fruit of combination, and he knows that the harvest he has just reaped is not the utmost he can look to gain. Conquering himself, he has learned that he can conquer the world of capital whose generals have been the most ruthless of his oppressors. Angry Labour leaders announced that, on Sunday, November 13th, 1887, Trafalgar Square would be stormed. Squadrons of military, fully armed, and powerful detachments of police, were drafted there to resist any such attempt. On the appointed day, workers led by Burns and others tried to force a way through the armed ranks, to demonstrate the rights of free speech. Bricks and stones were flung, iron railings crashed on sabres and bayonets, dozens of workmen were wounded, and the attack was beaten off. Burns and others were arrested. A month or two later, another effort was made to storm the Square, and a workman was killed. Burns made a speech at the funeral, and was again arrested. At his trial at the Old Bailey, H. H. Asquith was Counsel for the Defence. Burns was sentenced to six weeks' imprisonment; later, he and Asquith were Cabinet Ministers together. Remember the match girls who won their strike and formed a union; take courage from the gas stokers who only a few weeks ago won the eight hour day. (6) In his book, Memories and Reflections (1931), Ben Tillett described the work that John Burns did for the Dockers' Strike in 1889. In his blue reefer suit and white straw hat, familiar to the cartoonist, John Burns lent us his stentorian voice and picturesque personality, and created that legendary John Burns to whose allegiance the retired Cabinet Minister, alive and hearty as I write these lines, has remained faithful ever since. John Burns did a great deal for the workers, and the workers did much for John. Later Burns won the Battersea seat and joined the Liberal Party, reaching Cabinet rank as the first genuine working man. his magnetic and striking personality made him an outstanding figure in those days. an amazing egoism, a quick brain, a mighty voice and a wonderful strength of body gave vitality to his vanity and bluffness. 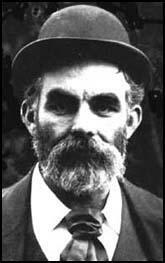 (7) Henry Snell first met John Burns in 1883. John Burns was one of the Social Democratic Federation's best speakers. He was then about twenty-five years of age, and in the full strength of his manhood. His power as a popular street-corner orator was probably unequalled in that generation. He had a voice of unusual range, a big chest capacity; and he possessed great physical and nervous vitality. His method of attracting a crowd was, immediately he rose to speak, and for one or two minutes only, to open all the stops of his organ-like voice. The crowd once secured, his vocal energy was modified, but his vitality and masterful diction held his audience against all competitors. We go in for progressive reforms. For my part I have two eyes which I make use of, one fixed on the ground on the lookout for practical things immediately realisable, the other looking upward - toward the ideal. I recognise that Socialism has ended its purely theoretical course, and that the hour to construct has come. When I have to mount a staircase I climb up step by step. If I want to go up ten stairs at a time I break my neck - and that is not my intention. Jealously and suspicion of rather a mean kind is John Burns's burning sin. A man of splendid physique, fine strong intelligence, human sympathy, practical capacity, he is unfitted for a really great position by his utter inability to be a constant for a loyal comrade. He stands absolutely alone. He is intensely jealous of other Labour men, acutely suspicious of all middle-class sympathizers, while his hatred of Keir Hardie reaches about the dimensions of mania. All said and done, it is pitiful to see this splendid man a prey to egotism of the most sordid kind. I am only doing now what I have ever done; and ever will continue to do - that is adapting past experience to present reform in the light of high ideals and future objects. In this work I have received the opposition of a number of men who only advocate the unobtainable because the immediately possible is beyond their moral courage, administrative ability, and their political prescience. I must firmly adhere to the views I have held and practice, that Socialism to succeed must be practical, tolerant, cohesive and consciously compromising with Progressive forces running, if not so far, in parallel lines towards its own goal. I don't believe that the man who comes furthest my way and nearest to my programme is my most distant enemy. "He who is not wholly for us is wholly against us" is the plaint of the fool or the fanatic. Judge men less by the labels they wear than by their persistent labour for sure if slow progress. If "our party right or wron"' is to be the rallying cry of a working class movement then it has assumed the very defects that its advocates decry in others. The recent I.L.P. conference from which I had expected some change in methods and tactics has confirmed my previous views of its leaders. Individual effort is almost relatively impossible to cope with the big problem of poverty as we see it. I want the municipality to be a helping hand to the man with a desire of sympathy, to help the fallen when it is not in their power to help themselves. I believe the proper business of a Municipality is to do for the individual merged in the mass what the individual cannot do so well alone. You come before me this morning with clean hands and clean collars. I want you to have clean tongues, clean manners, clean morals and clean characters. I don't want boys to use bad language. I don't want boys to buy cigarettes. I don't want boys to use their pencils for improper writing. Don't hustle old people. I neither drink nor smoke, because my schoolmaster impressed upon me three cardinal virtues; cleanliness in person, cleanliness in mind; temperance. (13) Fenner Brockway, a member of the Independent Labour Party, later recalled how Fred Jowett attacked John Burns for changing his views on the Poor Law once he became a government minister. Jowett came into conflict with John Burns over his mean administration of the Poor Law. Twenty-four years earlier Burns had been co-leader with Tillett of the dockers' strike, regarded by the public as a revolutionary, but now he had become the most orthodox President of the Local Government Board, encouraging Poor Law Guardians to refuse outdoor relief to the destitute and to drive them into the workhouse. 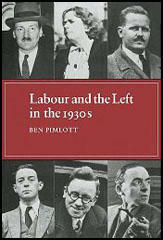 From this day onwards (Jowett's speech attacking Burns in the House of Commons) Burns lost his reputation among the public as a "Socialist", or even as a "Labour man". He had clearly gone over to the other side. Burns is a monstrosity, an enormous personal vanity feeding on the deference and flattery yielded to patronage and power. He talks incessantly, and never listens to anyone except the officials to whom he must listen in order to accomplish the routine work of of his office. Hence he is completely in their hands and is becoming the most hidebound of departmental chiefs. I am depressed rather at the wave of brutality sweeping over the country. The new spirit is manifesting itself in a bad way. Impatience with serious grievance, resistance to solid injustice, revolt even against intolerable wrong certainly but the revolutionary spirit is now evoked and responded to in matters that disciplined patience for a short period would resist and a contemptuous indifference could dispose of. Among the many reports which are current as to Ministerial resignations there seems to be little doubt in regard to three. They are those of Lord Morley, Mr. John Burns, and Mr. Charles Trevelyan. There will be widespread sympathy with the action they have taken. Whether men approve of that action or not it is a pleasant thing in this dark moment to have this witness to the sense of honour and to the loyalty to conscience which it indicates... John Burns will doubtless remain in public life. He is still in the prime of his years and as an unofficial citizen he will find again his true sphere of action. We shall need his vigorous sense, his courage and his passion for democracy in the times that are upon us. Why four great powers should fight over Serbia no fellow can understand. This I know, there is one fellow who will have nothing to do with such a criminal folly, the effects of which will be appalling to the welter of nations who will be involved. It must be averted by all the means in our power. Apart from the merits of the case it is my especial duty to dissociate myself, and the principles I hold and the trusteeship for the working classes I carry from such a universal crime as the contemplated war will be. My duty is clear and at all costs will be done. (18) On the 4th September, 1914 C. P. Scott, recorded details of a meeting he had with David Lloyd George. He (Lloyd George), Beauchamp, Morley and Burns had all resigned from the Cabinet on the Saturday before the declaration of war on the ground that they could not agree to Grey's pledge to Cambon (the French ambassador in London) to protect north coast of France against Germans, regarding this as equivalent to war with Germany. On urgent representations of Asquith he (Lloyd George) and Beauchamp agreed on Monday evening to remain in the Cabinet without in the smallest degree, as far as he was concerned, withdrawing his objection to the policy but solely in order to prevent the appearance of disruption in face of a grave national danger. That remains his position. He is, as it were, an unattached member of the Cabinet. The men who made the war were profuse in their praises of the man who kicked the P.M. out of his office and now degrades by his disloyal, dishonest and lying presence the greatest office in the State. The Gentlemen of England serve under the greatest cad in Europe. (20) John Burns kept a diary for many years. The last entry was on 16th May 1920, over twenty years before his death. Books are a real solace, friendships are good but action is better than all for the moment and for some time great events have been denied me and forward action may not come my way. I believe, however, that impending events will call us and we must respond but where, with whom, and how?